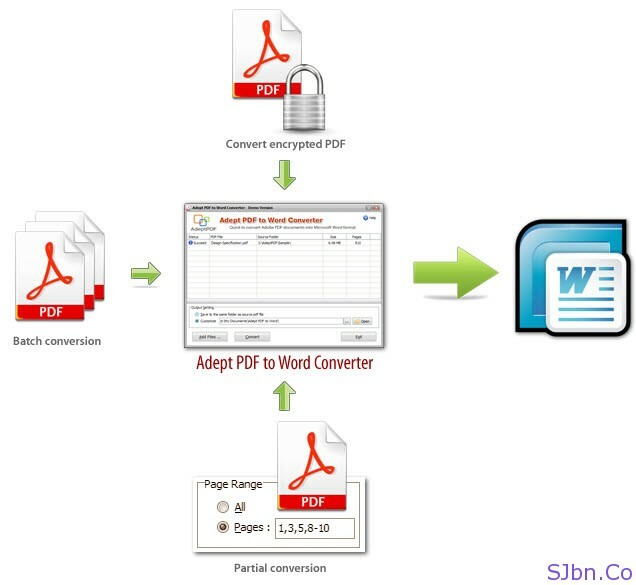 Today in this post I will help you in getting Adept PDF to Word Converter for free. Adept PDF to Word Converter software exports the text, images and other contents from any PDF document into MS Word document format. Adept PDF to Word Converter preserves the original PDF text, layout and bitmap images in the generated Word document. Adept PDF to Word Converter software is a standalone program and does not require Microsoft Word, Adobe Acrobat, or even Acrobat Reader. Note: – This PDF to Word Converter 30-Days Giveaway Promotion will be ended on April 25, 2011..